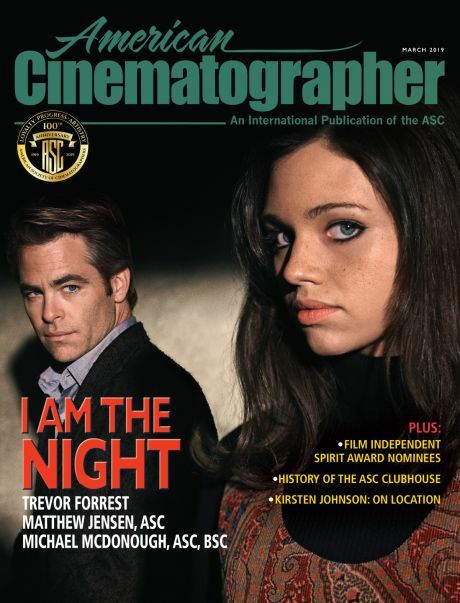 Anna Biller — writer-director of The Love Witch — also oversaw the film's costume and production design and edited the picture, relying on M. David Mullen, ASC to artful bring her vision to the screen with classic techniques. The creative and technical choices and decisions that resulted in the unique look of this indie horror feature. 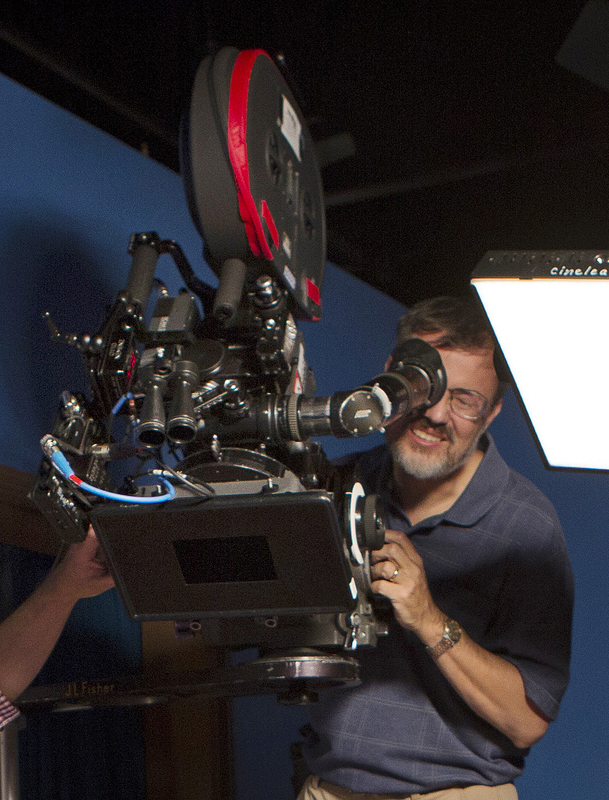 M. David Mullen, ASC composes a shot while filming The Love Witch (2016). I first met director Anna Biller when we were students at CalArts in the early 1990s. We shared a love of old 3-strip Technicolor movies and I shot a 16mm short film for her in that style. Biller is truly someone I would call a “total” filmmaker, not only writing and directing, but designing, building, and painting her sets, constructing props, sewing costumes, plus editing and scoring the movie. She asked me to shoot her latest feature in a retro style reminiscent of Alfred Hitchcock’s color movies, in particular The Birds and Marnie (both photographed by Robert Burks, ASC), which are also tales that center around a glamorous but troubled woman arriving in a new town. Other references were British horror films like Horror Hotel and Dracula: Prince of Darkness, and some 1960s Elizabeth Taylor melodramas. Though soft lighting had crept into movies around that period — even Marnie has some semi-soft lighting at times — we stuck to more of a hard-lit 1950s approach. Color and glamour are Biller’s particular visual obsessions and the hard key light approach emphasizes both. 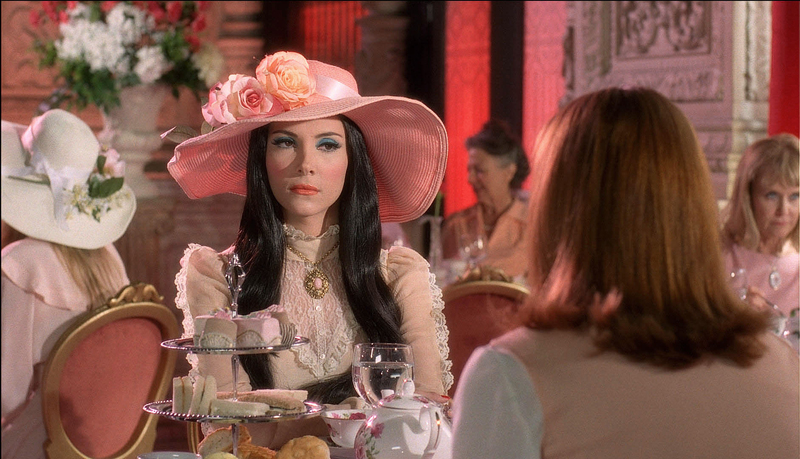 Mullen frames up as actress Samantha Robinson prepares to concoct a potion while shooting The Love Witch. 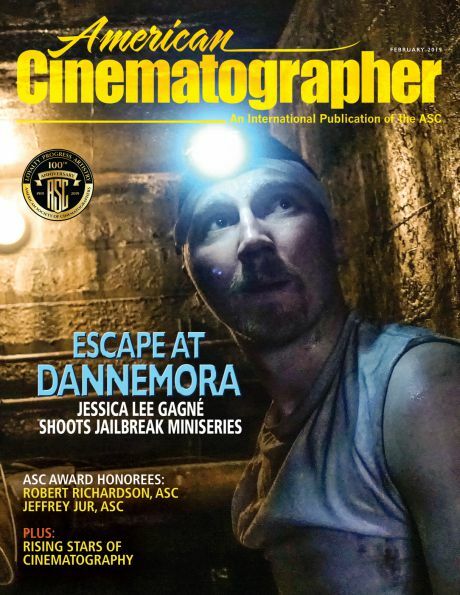 Biller has always been an advocate for shooting and finishing on film, even when we were back at CalArts and many students used video for convenience and cost reasons. She insisted on using 35mm for this project and wanted to finish photochemically. This meant shooting in standard 4-perf 35mm so that we could make a contact print for release. We composed for 1.85:1 using an Arricam ST from Otto Nemenz Cameras. Today, one’s choice in color negative stock is limited to the four types made by Kodak, and the single Vision 2383 print stock. Even though standard 35mm Eastmancolor movies of the 1950s have a somewhat coarse grain structure, Biller told me that she wasn’t interested in replicating any sort of grainy look, so in my mind, we were aiming for the smoother look of past 3-strip Technicolor or VistaVision movies. I decided to shoot most of the production on Kodak Vision-3 5213 / 200T stock, but rated at 100 ASA in order to get very high printer light values, which in turn would give the print a rich look with deeper blacks and stronger color saturation. A few scenes had to be shot on Kodak Vision-3 5207 / 250D stock for practical reasons, but it matched the look of 200T fairly well. 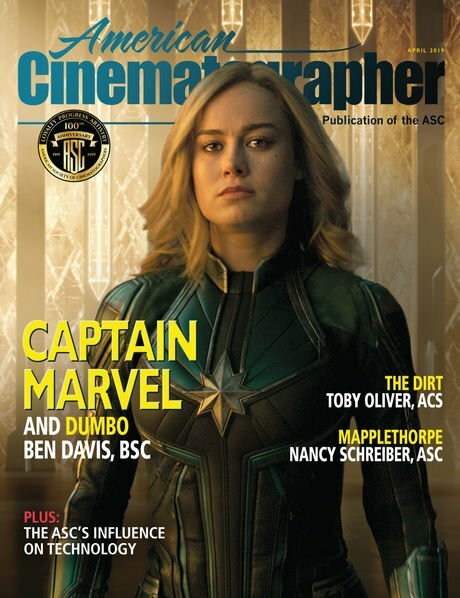 If Vision Premier 2393 print stock still existed, I probably could have overexposed the stock less heavily and still have gotten that Technicolor look we wanted. Mullen and his team prepare to set a shot on Robinson. 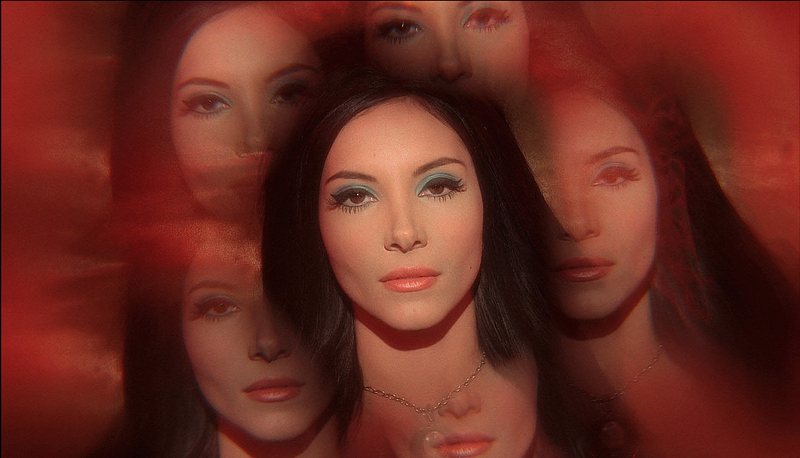 We talked about whether to use optics from the 1960s such as Baltars or Panchros, but it was important to Biller that the colors she used for the sets and costumes were captured as accurately as possible with maximum saturation, and some of those older lenses have a color bias to them or a loss of contrast. Also, because I planned on using diffusion filters to recreate the glamorous close-ups of the era, I didn’t want to start out with lenses that were too soft. In the end we used Zeiss Super Speeds with a few Standard Speeds mixed in. I also used a 24-290mm Angenieux Optimo occasionally, mainly for a few shots where I had to zoom into an extreme close-up. I felt that the modern Optimo actually matched the look of the Super Speeds better than an older zoom would, plus most of those zooms are an f/4 wide-open, whereas the Optimo is an f/2.8. Since I was rating the film at 100 ASA, I needed a 100 footcandles just to get an f/2.8, which became the base stop for most of my interiors. Bumping everything up to 200 footcandles just to be able to use an f/4 zoom now and then would have been frustrating and time-consuming, though cinematographers of the past had to deal with this all the time. Mullen adjusts his exposure while capturing a closeup on Robinson. We spent the first two weeks on stage and then went on location after that. The sets were all lit with classic tungsten Fresnel lamps, often a direct 2K Junior as a key in wide shots; a 1K or 650w Tweenie was bright enough for the closer coverage. On the second day, I tried using a 2K Zip as a key, which looked quite good – and was keeping with 60’s era techniques — but I dropped that approach by the end of the day as not being hard and crisp enough. The only area in which I “cheated” regarding the hard light style was in the use of fill, since that’s a light that’s not supposed to be seen, only felt. Even an older movie would have used something like spun glass on a large scoop light for a softer fill, so I didn’t feel it was inappropriate to bounce lights off of white board, or occasionally use a 1x1 LED LitePanel next to the lens. One thing that concerned me once we left the stage was the location shooting because I had some daytime locations where I could not gel the windows to 3200°K. I dislike using HMI PARs as hard key lights unless they are very far away, like outside a window. Up close, they produce an odd shadow pattern that can only be improved by softening the light. The daylight-balanced solution was to use the new Mole-Richardson LED Fresnels, which allowed me to keep the classic hard key light look that only a Fresnel lens can give you. They also have a number of modern advantages, pulling less power and putting out less heat than tungsten lighting does. Mullen and his crew plot out a dolly move while filming a surreal scene. Anna Biller had done a number of color illustrations of her set designs, and one idea I had was to reinforce the colors by using colored lighting in the background, sometimes splashing pink light onto pink tablecloths, blue light onto blue curtains, etc. In keeping with classic aesthetics, I avoided colored light on the faces whenever possible. There were some drug-induced visions in the story that we created in-camera — for example, I used a kaleidoscope lens for one shot, and for a number of others, a plastic diffraction filter that created rainbow streaks around practical light sources in frame. I also created a red vignette by cutting out an oval in a red party gel that was then taped to the matte box. A mesmerizing image of Elaine achieved with a simple kaleidoscope lens and gels. The combination of Zeiss Super Speeds, hard lighting, and 200T stock created quite a sharp image that needed some diffusion to achieve the romantic close-ups we desired. I had some nets stretched onto filter frames; the lightest effect was from a black tulle material I found in a fabric store. I also had some Dior and Fogal nets as well, but they were only used on very tight close-ups, plus a few fantasy moments and flashbacks. I sometimes combined the light black tulle with a Schneider Classic Soft filter. For a separate story arc involving a police investigation, I mostly just used a mild Tiffen Soft-FX filter to take the edge off so the sharpness didn’t jump out compared to the romantic look of Elaine’s scenes. We shot for a couple of days in Eureka, California, to establish our small-town setting, along with gathering footage to be rear-projected on stage when we got back for some process driving shots. The plates were just shot with a little Sony NEX6 camera. On stage, the files were fed from a laptop into a 15K lumens LCD projector. The rear-projection screen was 12’x6’ and I ended up with enough exposure to shoot at f/2.0 using 250D stock (chosen because of the color temperature of the projector lamp.) I didn’t feel that it was important to shoot the plates on 35mm film since the image on the screen would not be in sharp focus behind the actress in the car. Shooting on stage, Mullen angles over Robinson's shoulder. During the answer printing, Biller was a stickler about getting the color right and though she has done this before, I think it was hard for her to be limited to simple RGB printer light corrections — sometimes we and the timer talked about whether a single point correction was going to be too much or not enough to get the color just right. I think the main thing I re-discovered in post was how much contrast there is — how dense the blacks are — when you print a movie from the original negative at high printer lights. The look is much richer than what most digital projection can achieve today. We did find that in the photochemical prints, maybe the greens weren't as saturated as with the digital version, and the deeper blacks came at the expense of some loss of shadow detail, but, in general, I think the 35mm print that is currently playing in festivals is closer to the Technicolor feeling that the movie wanted to express than the DCP will be. 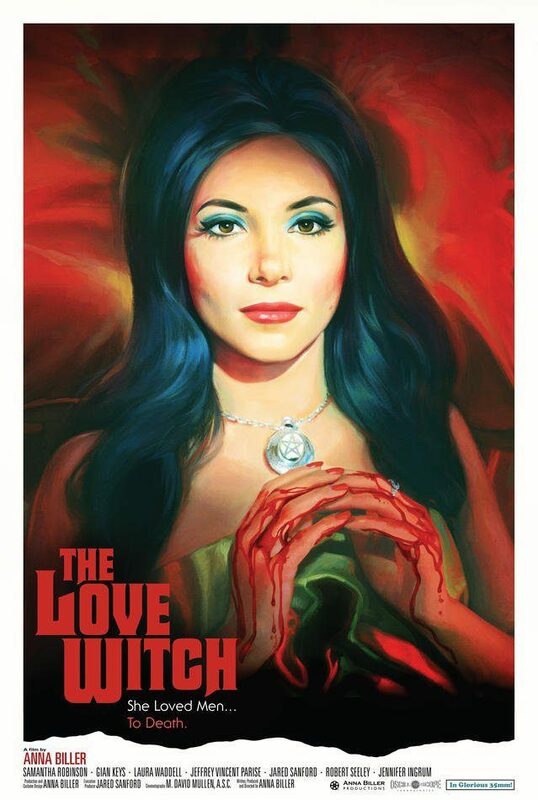 The Love Witch will be released theatrically in the U.S. on November 11. Mullen further discusses his work on the film in a new AC Podcast. Elaine appears in a seductive fantasy sequence.